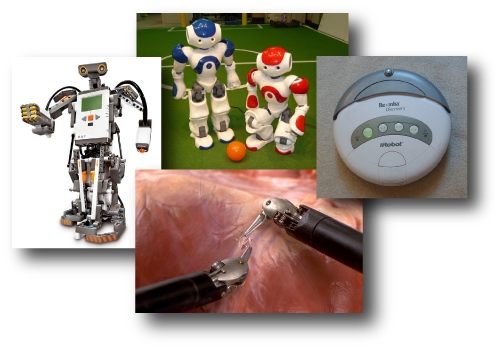 Who should enroll: Students with interests in robotics, motion planning algorithms, physics, engineering, computer vision, and graphics, as well as application areas such as those listed above. For Computer Science undergraduate majors, this course can be used to satisfy the Distribution Requirement for Applications. Grading: 50% assignments/labs, 30% exams, 20% participation. Prerequisites: Fundamental programming skills (COMP 401 and 410 or equivalent) are required. Algorithms (COMP 550) and some exposure to linear algebra are desirable but not required.